Growls can be obtained with various voice effects, but the effects are usually used to enhance rather than create, and are seldom used at all. Voice teachers teach different techniques, but long-term use will still take its toll if done incorrectly – these techniques are designed to reduce rather than eliminate harm. However it has been shown by many vocalists (ex. Christian Alvestam) that long term use of these techniques can be used without causing harm to your voice. The techniques usually involve using the diaphragm and air pressure on the throat to form the sound, similar to forms of overtone singing. As a person tries to squeeze their throat, the sound gets less intense (usually used for higher growls/screams to decrease tension on chords). Some vocalists (ex. Danny Worsnop, Oliver Sykes) tend to use too much pressure on their throats and thus have vocal cord problems/defects. The Radboud University Nijmegen Medical Centre in The Netherlands reported in June 2007 that, because of the increased popularity of growling in the region, it was treating several patients who had performed the techniques incorrectly for edema and polyps on the vocal folds. In 1969 and the early 1970s, the song “21st Century Schizoid Man” by King Crimson is notable for its heavily distorted vocals sung by Greg Lake. The songs “Iron Man” by Black Sabbath and “One of These Days” by Pink Floyd both contain brief passages of ominously growled, low-pitched vocals (in both cases studio-manipulated) against a heavy background of rock riffs. Other examples are Roger Waters’ screams in some Pink Floyd songs, such as “Take Up Thy Stethoscope and Walk” (1967), “Careful with That Axe, Eugene” (1968). Punk rock bands like The Clash and the Stiff Little Fingers also regularly employed gruff sounding vocals, however nothing like the death growl common in Metal music today. On the other hand, the low, raspy, aggressive pitch of Lemmy from Motorhead is not unlike the growl and can be thought to presage the current style. Origins in Heavy Metal – The advent of the growl as it is used today coincided roughly with the gradual emergence of Death Metal, and it is thus difficult to pinpoint a specific individual as the inventor of the technique. Different vocalists likely developed the style over time. The band Death (and its precursor Mantas) with its two vocalists—initially Kam Lee and subsequently Chuck Schuldiner—have been cited as among the first (although Schuldiner would eventually switch to a more high-pitched screeching). Possessed are also considered by some to be one of the earliest bands to employ growls, as are Necrophagia and Master. Around the same time, bands such as Hellhammer, with Tom G. Warrior on vocals and seminal act Massacre also employed a variation of the growl. The vocalists from the British Grindcore band Napalm Death—consecutively Nic Bullen, Lee Dorrian and Mark “Barney” Greenway—further developed the style in the late 1980s, adding more aggression and deeper guttural elements to it, while also speeding up delivery of the lyrics. 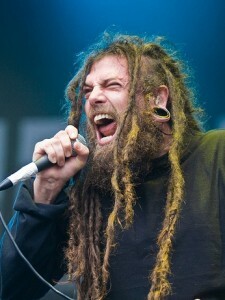 Another vocalist who gradually deepened his voice into the growling used today on Death Metal and Grindcore was Chris Barnes, original vocalist of Cannibal Corpse, in the band’s video biography, he states that he wanted to sing as high as Rob Halford, but his voice was too low pitched for that. So he started trying to blend it with the other instruments, coming up with a dark and really low guttural voice that became his signature. Buy tickets for an upcoming Stiff Little Fingers concert near you. List of all Stiff Little Fingers tickets and tour dates for 2019.